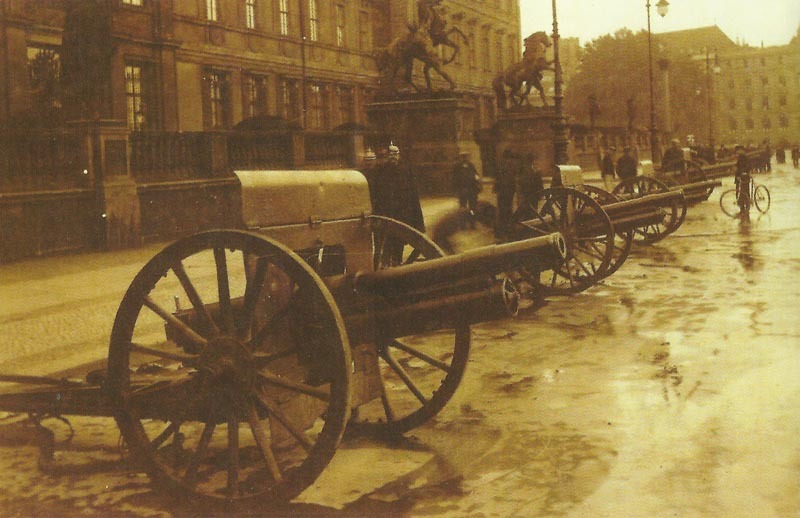 Captured Russian 7.62-cm field guns Putlow M02 are exhibit in Germany. Poland: Gallwitz occupies Bialystok (110 miles northeast of Warsaw), Eichhorn occupies Fort Olita on Niemen. Bugarmee crosses Brest-Kovel road. Trentino: Italian progress in Val Sugana, capture Monte Gisa on August 28. India – Northwest Frontier: 2 British columns defeat Swats and Bunerwals until August 31 after latter had attack Rustam Camp on August 17. North Sea: Dunkirk RNAS Squadron Commander Bigsworth’s Farman bombs and damages U-boat 6 miles northwest of Ostend (two more such attacks on September 6 and 26). Germany: French Esc MF29 raid Roessler poison gas works at Dronach. Mesopotamia: 4 Martinsyde Scouts reach Basra, 4 Maurice Farmans already in theatre with No 30 Squadron. Germany: Government announces merchant ships will not be attacked without warning. USA: Colonel House warns President Wilson war with Germany will mean widespread city sabotage. Germany: Reichstag deputy praises War Ministry’s union relations compared with civil authorities. France: Prime Minister Viviani wins confidence vote. Britain: ­Clyde Shipbuilders strike until September 4.